The mail bag is full!! 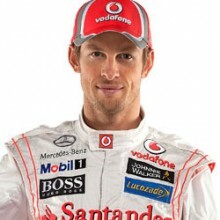 Thanks for all the great questions for Online Driving Instructor Jenson Button. His answers will be posted daily through Thursday of this week as practice for the British Grand Prix begins on Friday. After an outstanding career in karts, Jenson Button made a meteoric rise through the junior open-wheel ranks, starring in Formula Ford and Formula 3 before being snapped up by the Williams Formula 1 team in 2000 at the age of 21. Driving for Honda, he claimed a brilliant maiden F1 victory in 2006 in treacherously wet conditions at the Hungarian Grand Prix. Button’s F1 career appeared to stutter when Honda withdrew from the sport abruptly at the conclusion of the 2008 season, but he remained with the same nucleus of people competing under the Brawn Grand Prix banner, and was finally provided with a car worthy of his talents. He stepped up to the plate by winning five of the first six races and went on to claim the 2009 FIA Formula One World Championship. Button switched to the Vodafone McLaren Mercedes team for the following year and finished second in the standings last season. His current F1 record includes 13 wins and 45 podiums, and he is widely acclaimed as one of the sport’s most accomplished stars. Jenson Button answers your questions! The apex of a corner is the most important reference for a race car driver, but the manner in which they position their car at the apex is obviously very important. Therefore, do you brake early and turn in early, or do you brake late and turn in late? Do you use the same technique for all the different types of corners you will encounter in a Formula One car? What is the maximum g-force in a corner that you have experienced and where? I am good at keeping my tyres in better condition than most at the end of the race. This allows me to race well and be competitive. But my results are being hindered badly by my qualifying performance. I am regularly a whole second off pole, leading me to only getting a grid position in the middle of the pack which also means I sometimes get caught up in accidents. Is there something I need to do specifically when it comes to the ultimate qualifying lap? I have always been very impressed by your smooth driving style and calmness during a race. Do you have any tips on how to adopt or hone this style? Is there anything you do off the track to hone your skills in smoothness? What do you regard as the best moment of your career and why? How do you maintain your physical fitness in between races? I have read about how physical the modern F1 cars are to drive, but how important is the mental side of the sport? What do you think of young driver schemes such as the FIA Institute’s Young Driver Academy? How important is it to get into one of these programmes to progress in the sport? Do you find it more satisfying to completely dominate a race from pole or from having to work your way to victory from farther back in the field? 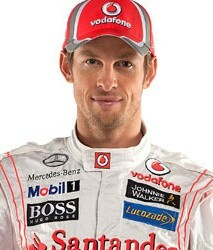 Hi Jenson. I’m a huge McLaren fan and thank you so much for taking time to answer our questions. Do you think certain tracks favor a smooth and calm driving style while others favor a more aggressive style? If so, which tracks do you think favor your style? With the amount of knowledge you have gained throughout your career, if you could go back in time, what advice would you give to yourself as you were climbing the ranks of junior motorsport? What is your personal order of adjusting your car’s setup on a GP weekend? Are you involved from the start or do your engineers apply a base setup before you are included in the discussion? You have been known as a very smooth race driver. Can you describe why you do it and what are the advantages to being smooth? What was the hardest thing you had to accomplish so that you could move up to the Formula 1 World Championship? You are known for being very gentle on your tyres. 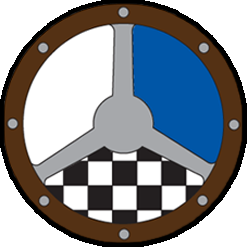 Do you like your car to have more oversteer than understeer or vice versa, and why do you find that beneficial? While you were at school did you always think you could become a racing driver or did you ever see yourself taking a different career path? Jenson, can you talk about vision and particularly how you use your primary and peripheral vision when racing? Thank you. What do you find to be the best way to learn a new track? In terms of relative performance, are there any similarities between an F1 car and a top-level racing kart? How do you compensate when a car is not working for you? Are the techniques the same in F1 as when you were climbing the ladder in the junior classes?